Many time children scream. This affects their health and mind. In astrology, voice indicates breath. Our voice and gesture indicates our personality. Voice directly relates with planet. The motions with voice indicate the condition of planet. 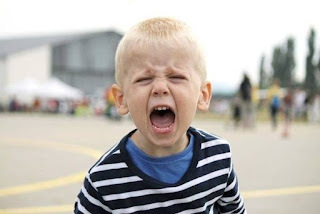 Screaming kids are too thin or too obese. Screaming kids get discomfort and anxiety. These types of kids are too much dull or too much hyper. They face anxiety at the later age. Therefore, family members should maintain good atmosphere in the home. This avoids anxiety from the child. Screaming child always get the fear of throat infection. Screaming child may face urine infection. Their Mercury becomes weak and child face throat and urine infection. Screaming while talking is a sign of bad Mars. If child screams, make noise and Mars Mountain is upward then try to reduce the child’s anger. Otherwise, child may face blood pressure problem. After two years, start watching the child’s screams. If child talk with screams or he scream too much if his desire not fulfill. This type of child gets less memory power. Screaming directly impacts on mind. Screaming kids are emotional. This type of kids requires emotional support. Calm the child. If child screams then advice him not to do that. This avoids anxiety, hunger and effects on mind. Parents should avoid screaming on child.